For all the quality upgrades that cable series have in comparison to broadcast networks, it’s always a bummer to have to wait eons for news about the next season. Thankfully, Showtime has gone public with the premiere date for the upcoming seasons of Shameless, House of Lies and Episodes. To be expected, we’ll have to wait until next year, as all three series will start up again on Sunday, January 11, 2015. Showtime also provided some brief synopses for each of the series to let fans know the general direction of where things are headed. Season 5 of Shameless, the comedy drama based on the British series of the same name, will see the offbeat Gallagher family trying to clean up its act in a neighborhood shifting towards gentrification. The family “begins to reconcile their chaotic past in the hopes of building a better future,” according to the press release. Is Frank (William H. Macy) even capable of providing a positive future for anyone? Stopping by this season in guest-starring roles are Dermot Mulroney, Steve Kazee and Sasha Alexander. 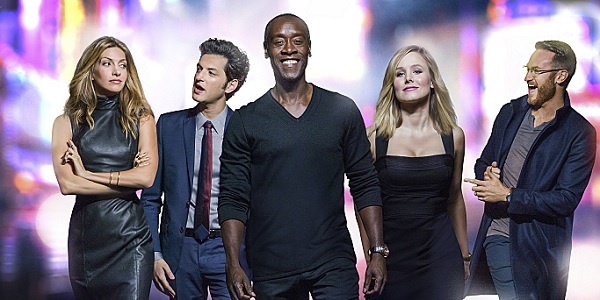 House of Lies is headed into Season 4 facing the aftermath of Season 3, which saw Jeannie (Kristen Bell) totally getting Marty (Don Cheadle) in trouble with the Feds. Here’s how the press release puts it. 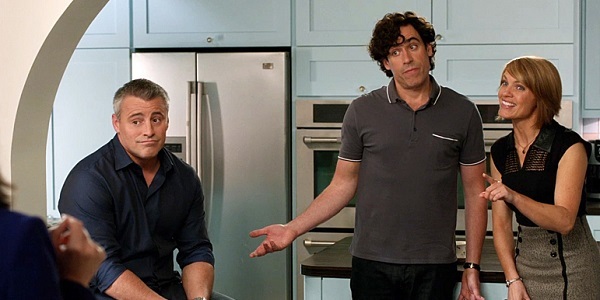 This season, Marty’s brief stint in white collar prison leaves Jeannie to pick up the pieces of the now tainted Kaan & Associates, with Clyde (Ben Schwartz) and Doug (Josh Lawson. Client flight has decimated the bottom line, but Marty is now a man with a singular focus: winning, at any and all cost. Nobody can keep Marty down for the count. (Except maybe the Emmys.) Season 4 will see Mary McCormack, Demetri Martin, Alicia Witt and Valorie Curry guest starring, with Larenz Tate returning as Marty’s brother Malcolm. So remember, Showtime has set Sunday, January 11 as the debut date for Shameless (9:00 p.m. ET), House of Lies (10 p.m. ET) and Episodes (10:30 p.m. ET). Which are you most excited about?